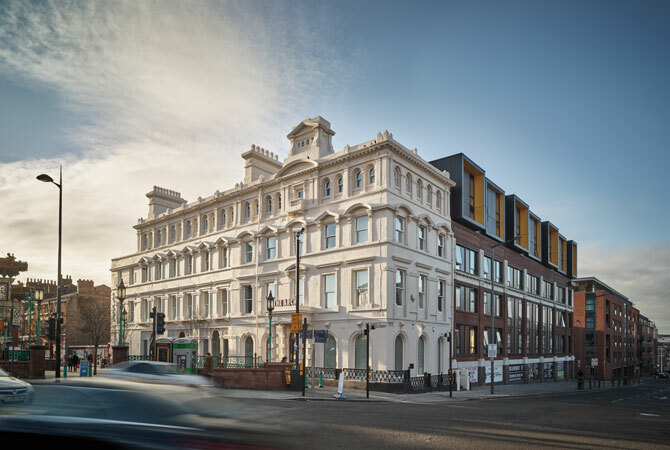 Built as the residence, manufactory and display rooms of a Victorian furniture maker, the buildings had been home to visiting sailors, a wartime parachute factory and a snooker hall before becoming derelict at the end of the last century. 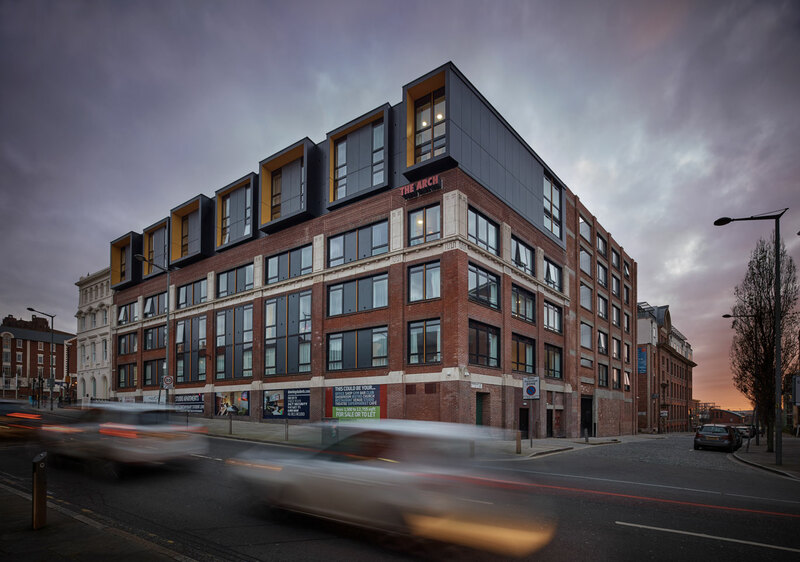 At a key entry point into Liverpool city centre, the former Scandinavian Hotel buildings had long been a controversial eyesore and the subject of many failed regeneration attempts. 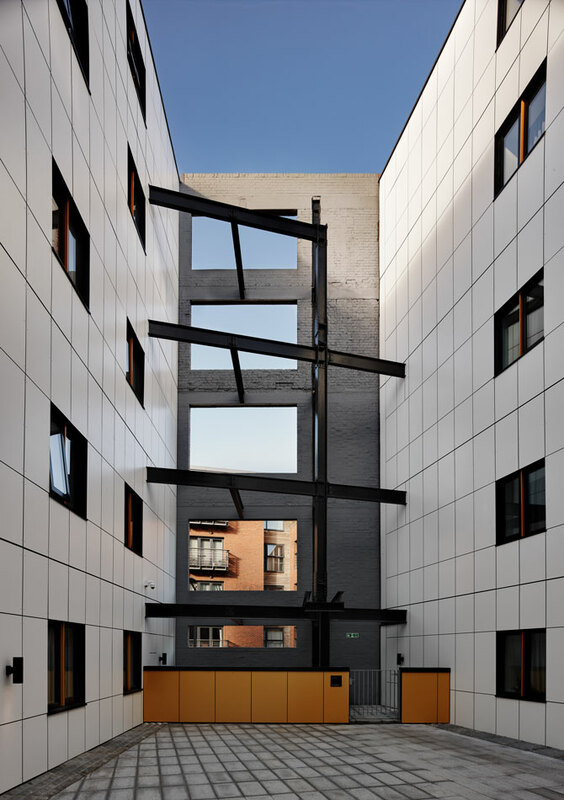 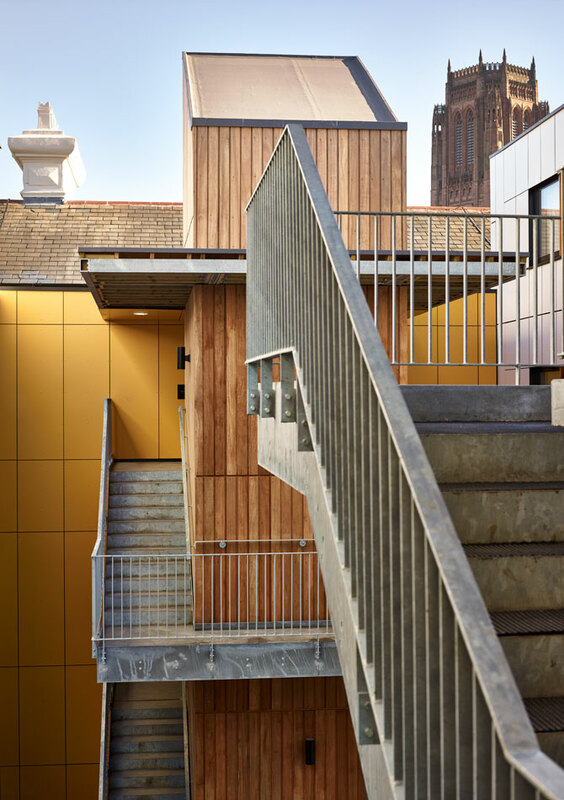 shedkm’s solution was to work with the external walls and structural skeleton of the buildings and to carve out an open air central courtyard within the existing deep plan. 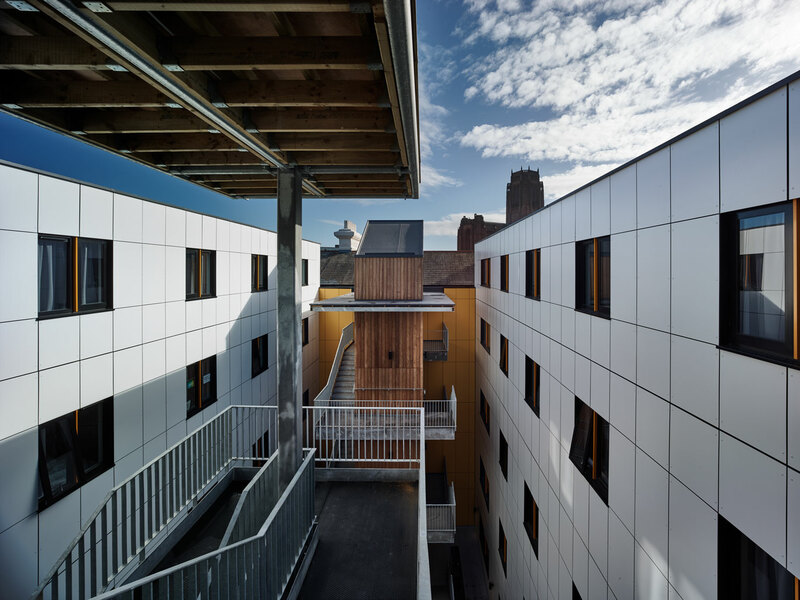 241 self-contained and ensuite student bedrooms have been created, sat above a large retail unit, foyer and ancillary spaces.